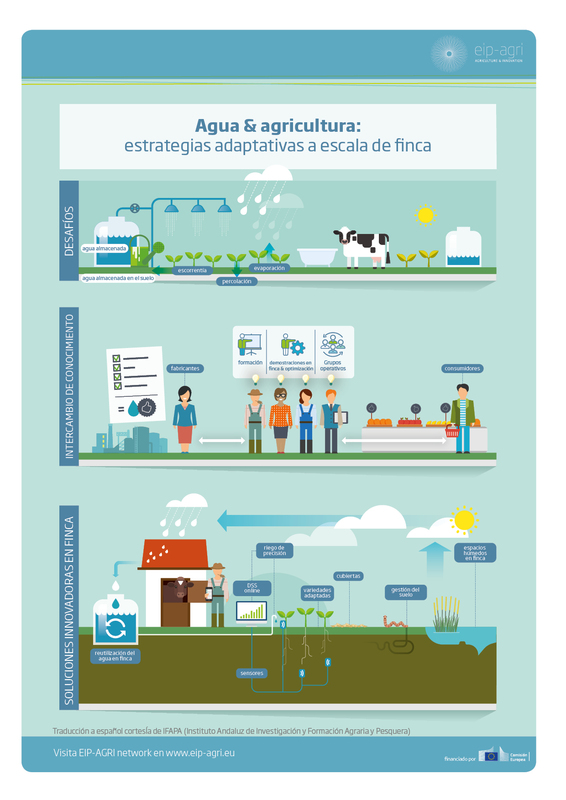 Water is an essential resource for crop and livestock production. Climate change is causing variations in temperature and rainfall, forcing farmers to rethink how to produce their crops, breed their animals and manage their farms. 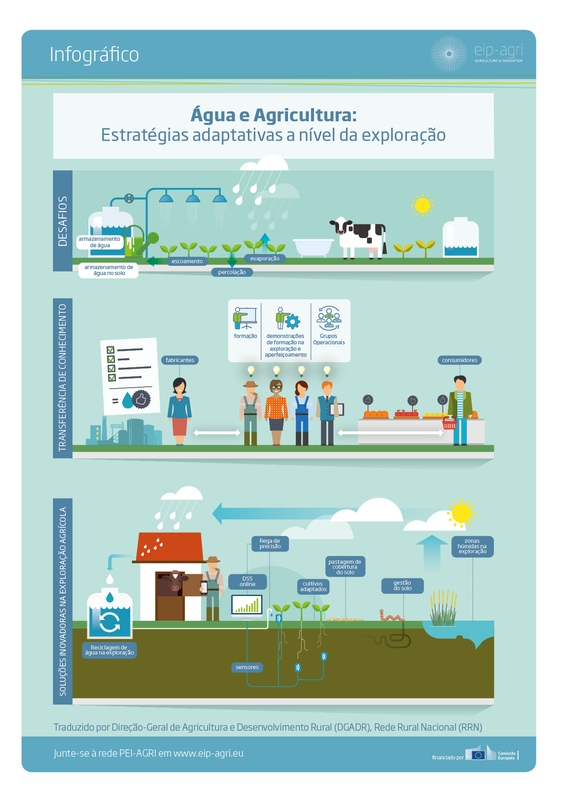 To counteract the negative impacts of climate change and water scarcity on agriculture, a number of innovative strategies and measures can be applied on the farm. Actions to conserve water on the farm can also be complemented by off-farm measures. This brochure will show you some inspiring examples of smart solutions for on-farm water management. It also offers ideas for Operational Group projects, in which farmers, researchers, advisers and others can identify together which solutions work best in specific contexts. Hungarian translation courtesy of the Ministry of Agriculture of Hungary. Translations courtesy of Direção-Geral de Agricultura e Desenvolvimento Rural (DGADR), Rede Rural Nacional (RRN) (Portuguese); IFAPA (Instituto Andaluz de Investigación y Formación Agraria y Pesquera) (Spanish).